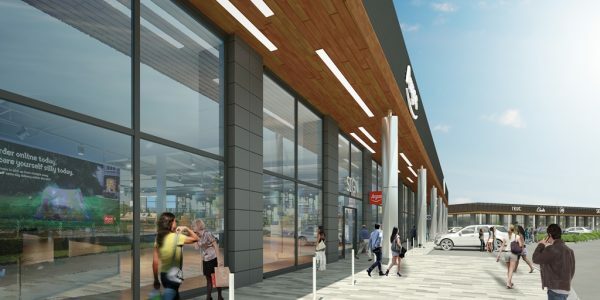 Delighted to have secured unanimous planning consent for the refurbishment of Brookfield Shopping Park near Cheshunt just seven months after opening our city centre London office. Designed for J.P. Morgan, plans for the 125,000 sq ft park allow for increasing the glazing area across the retail frontage with new feature canopy, louvered signage zone and timber soffit. The scheme will also increase the mezzanine cover throughout the park and deliver a major extension to the northern terrace taking the overall park area to over 150,000sqft. Brookfield is one of the UK’s top performing retail parks, ranked second in the top 10 UK retail parks by rental value according to Trevor Woods Associates ‘Definitive Guide to Retail & Leisure Parks 2016’. The park has open A1 planning with tenants including Outfit, Next, Boots, River Island, Argos and New Look.